U.P.#24 | The McKeen Motor Car Website U.P.#24 | The Compendium of Knowledge on the McKeen Motor Car Company, and their experiments. Union Pacific McKeen Car #24 after being rebuilt in 1928 with a new Winton/EMD drive system. 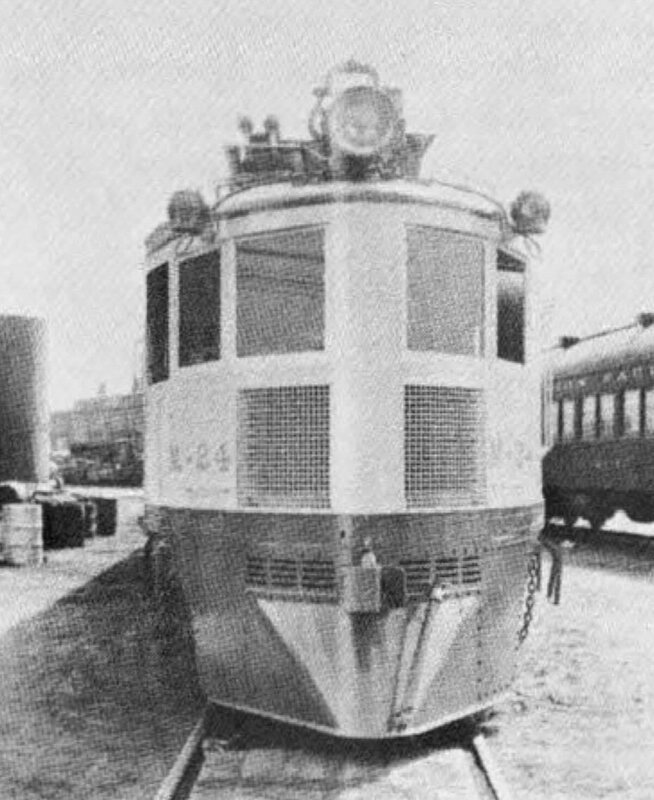 In 1934, the Motor Car would be painted in the famous Union Pacific Streamlined Armour Yellow and Brown. Here we see M-24 coupled behind T-18, with T-19 coupled behind. It is not known if this train set was used in regular service or if it was photographed out of service, while coupled together.